Dark Matter Games is an art project that aims to develop and present innovative and socially engaged art practices that often fall out of the scope of more classical art institutions. Inspired by the essay Dark Matter by Gregory Sholette, the project gathers, shares, develops and presents over 25 art practices that take social interaction and transdisciplinarity as their starting point. A workweek in april will give the opportunity to the participating artists to share their practice and articulate possible urban interventions. In the context of the Venice Biennial opening weekend in May, we will present these interventions during an urban festival, the Dark Matter Games. 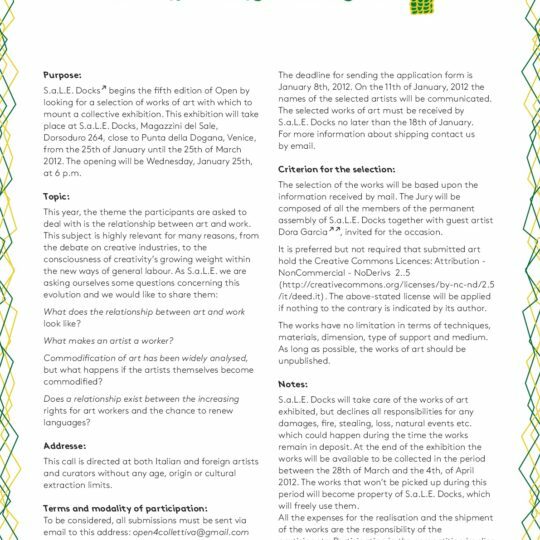 This event will combine exhibitions, round tables, performances and interventions alike. The aftermath will take the shape of a publication that will be presented in Brussels, in late fall. Dark Matter is a concept borrowed from astronomy: its the invisible subatomic matter that constitutes all reality. New York based theoretician Gregory Sholette borrowed this term to designate a counter-hegemonic tendency in the art feld. Although horizontal, experimental and hybrid artistic production rooted in social processes is essential to the art world in general, it stays highly invisible in the current system due to its object- and market oriented drive: it is a dark matter. The art market, big institutions and offcial art history represent only a few of the most visible artists. But those same artists could not even exist without tapping into this dark sea, this liquid matter, the telluric movement which ceaselessly experiments and produces signs, symbols, practices and social action. In the current polarisation between scepticism towards the arts and an almost reactionary defensiveness from the sector, we believe that these innovative and hybrid formats are even more relevant than they ever were: they can generate new ways for diverse audiences to relate to art, rediscover it and get inspired by it. But above all these practices referred to as Dark Matter represent another way of working and sharing knowledge. Dark Matter represents another mode of production, and what interests us is how the Dark Matter, the general intellect, can organize itself. How it can generate new forms of social recomposition and political representation, and the possible movements of appropriation that outline future scenarios. How the general intellect will organize, share its resources, and manage collective knowledge and capital. The phenomenon became visible at the beginning of the ‘80s, as a result of the break with the '60s and '70s, a season characterized by great social struggles, the Cold War, the predominance of Fordism and factory production. The productive power of this Dark Matter has then exploded in post-industrial capitalism, in neo-liberal globalization, global war and fnancialisation. Let’s set the Dark Matter free! This obscure substance, so fertile as exploited, let’s free it through the means of co-research and self-organization: by giving voice to social processes, by lying in the folds of its desire, and uncovering scenarios for the future we want. We need to deal with art history and to sustain that artistic production is the continuous invention of imaginative strategies rooted in the experience of social production. Social organization is an immense productive wealth seeking for forms of self-organization and self-determination, as well as political forms of representation in the daily struggles. It is an open and desiring organization. As a result, it has the form of the game, of the discovery, of the power of speech. This research is not the confrmation of the already-known, of hierarchies as we know them. Instead, it goes in the direction of giving voice to those who don’t have one and becomes a political subject, a public discourse, a form of expression and language. The method of dark matter games encompasses two interwoven strands of action based research. We will investigate existing movements of Dark Matter - telluric forces of creativity and resistance, which sustain the offcial artistic circuit while affecting it. 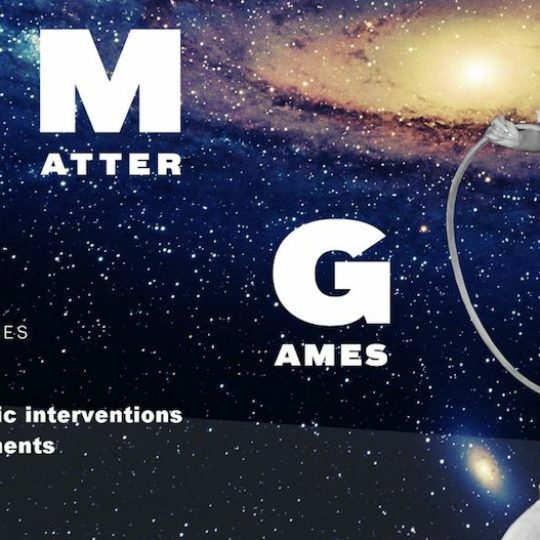 We will instigate Dark Matter manoeuvres and methodologies - urban games, collective actions and performances - which will aim at politicizing Dark Matter while harnessing its potential for collective engagement and creative resistance. In this way, Dark Matter Games will activate artistic competences and creative imagination, releasing the hidden wealth of Dark matter, suppressed by the dominant production modes. Our action research method relies on our networks of solidarity and trust. The mapping of movements and methods is not an exercise in social abstraction. Instead, it furthers collective affnity and expands connections, while being rooted in common struggles across different locations. Venice is home to the first and most famous Biennale, and during the opening days the city becomes a pole of attraction for the global Art Market. The city, providing the unique backdrop to the event, becomes itself paradoxically invisible. The Biennale contributes to the reduction of the complexity of the city to its branded image, blurring the distinction between contemporary art and mass tourism. 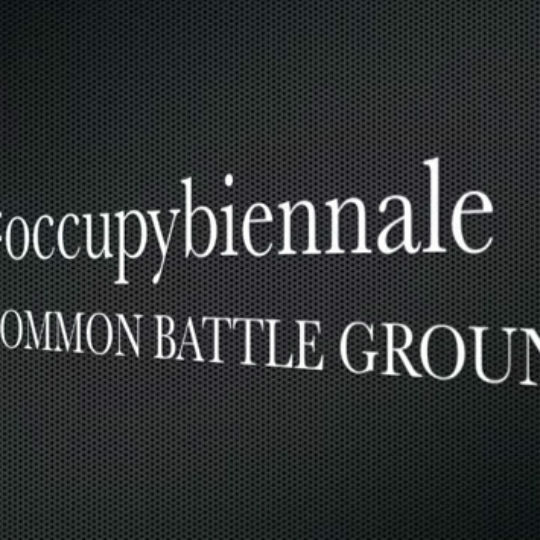 At the same time, the Biennale and the sea of collateral offcial and unoffcial events around it are largely based on a huge amount of invisible work. It is as it the visible tip of the iceberg and the invisible backdrop literally touch eachother in Venice. This dialectics between the visible and the invisible is addressed by the participants through different practices and different perspectives: by intervening in a city in a context of high visibility, while formally being outside of the offcial programmation. This position grants an ideal starting point to freely integrate and affect the context and remain independent at the same time. We don't mean the term literally, but some of the works will actually be games (role plays, or kits for participative bodily urban mapping, for example), and some projects are based on public calls for action in which we invite the Dark Matter of Venice to play with us and to join the platform. Nothing more engaging that playfull game structures. The organisation of these games would respond to various urgent needs: To create a public arena that gives visibility and promotes the debate around the themes of artistic dark matter. To experiment with engagement practices (through performances, events, instructions, competitions, etc.) To use S.a.L.E Docks as the "headquarters" and the Dark Matter Games as the device for dialogue, networking, organization and data collection.